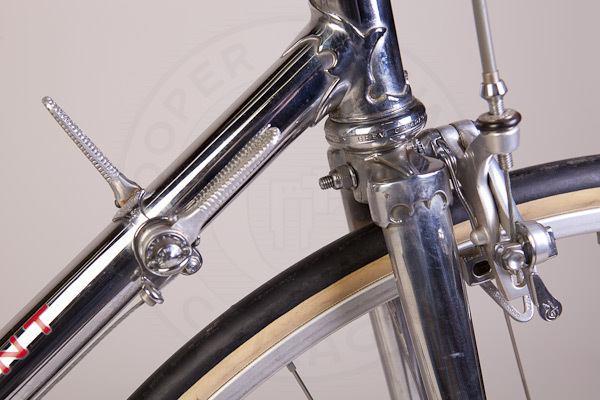 When I was first coveting fine bicycles every Schwinn dealer had a desirable chrome Paramount in their window. 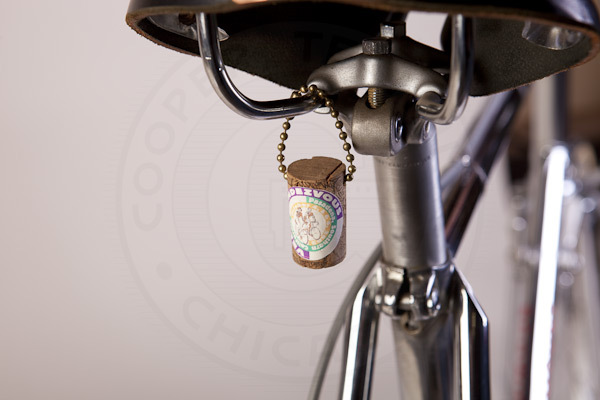 In 1972, I remember asking the price -- $400 with the Campy side-pulls option. 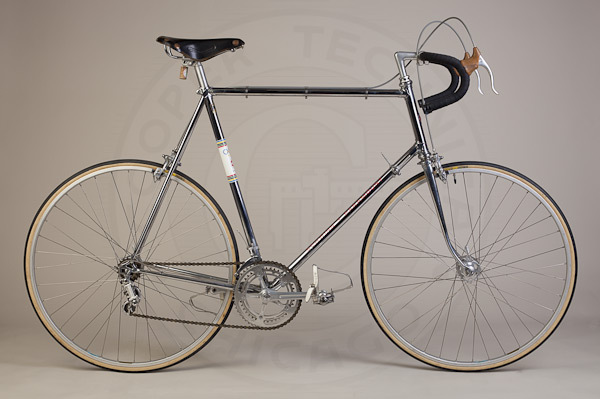 I bought a Raleigh Grand Prix instead, and paid $120 if my memory serves. Later, the late Dave Staub, who worked for Schwinn for many years, explained to me why the dealers all had a chrome Paramount in the window. 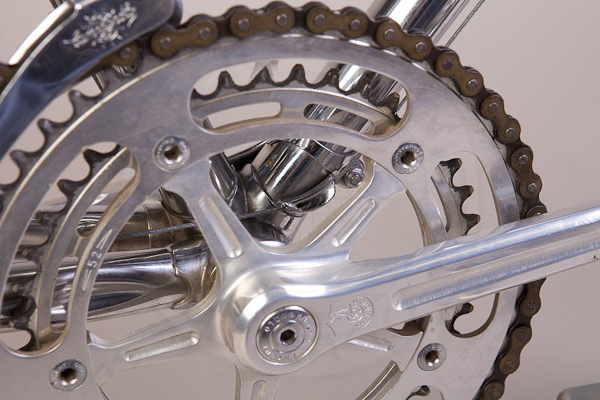 Schwinn required all dealers to purchase one new Paramount every year, thus guaranteeing production of at least 300 annually. Of course 1972 was the peak of the bike boom for lightweight bicycles here, and production was far higher than that, about 3,300. I purchased this 1972 P13 frame in 2001. It was in excellent condition, and I then started searching for the appropriate components. Marc Muller, who joined Schwinn in 1974 to oversee the Paramount line and is now at Waterford dedicated to keeping the Paramount tradition alive, helped me with appropriate decals. He even pulled out the master book to determine exactly where the decals were positioned in 1972 on a 25" frame. 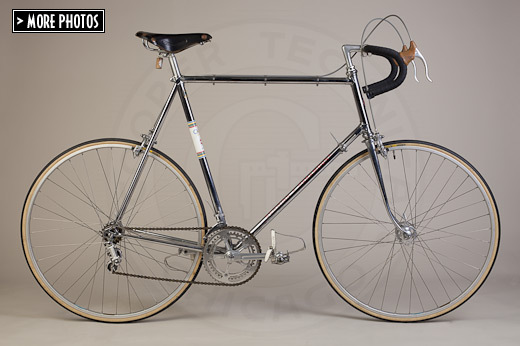 In 1972, Don Mainland was a sub-contractor in Wisconsin building Paramount frames to help Schwinn keep up with demand. 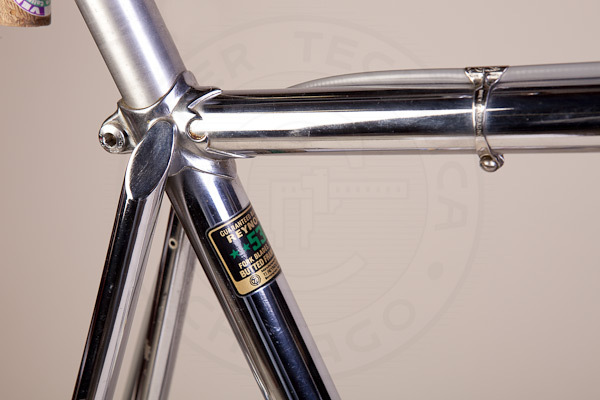 He told me that he was positive he built my particular frame, even though there were no identifying marks between the Chicago and Wisconsin frames, because he built all the chrome-plated frames that year. Mainland also revealed that they were trying to approximate the ride of a Cinelli frame with the Paramount, and spent a lot of time studying Cinelli frames and even taking them apart to learn their secrets. Having both, I can say that even though my chrome Cinelli has very similar geometry to the Paramount, they ride quite differently. Detail fork crown, head lug, brake calipers and shift levers.